This temple is dedicated to the worship of Lord Krishna. Lord Krishna was brought up in a community of cowherds or gopas and He is lovingly called Gopala. The history of this temple is intricately woven with the legend of Puttaparthi. 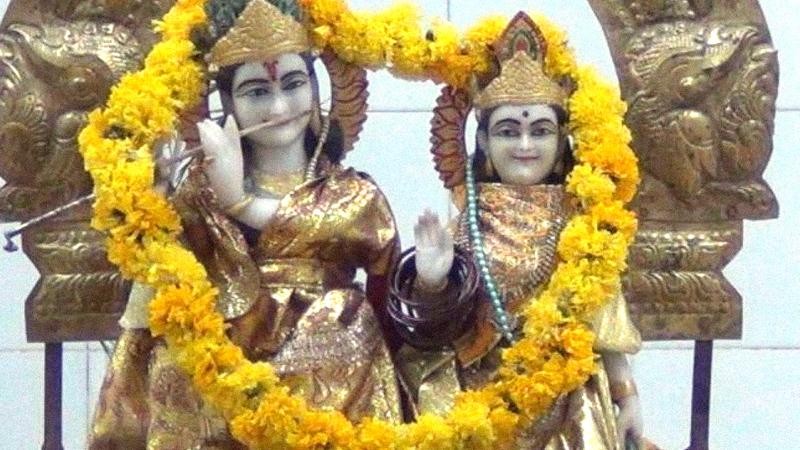 This temple dedicated to Krishna or Venugopala has an interesting mythological genealogy. Apparently, Gollapalli (Puttaparthi’s earlier name) was a prosperous village of cowherds at one time. However, evil fortunes fell upon the village when one incensed cowherd hurled a stone at a cobra that was sucking milk from the udder of one of his cows. The dying cobra cursed the village, and as a result, the cattle began to perish, and the place was infested with ant-hills. Its name was now changed to Valmikipura (the word ‘Valmiki’ denoting ‘anthill’ in Sanskrit, and Puttaparthi being the Telugu equivalent of the same). 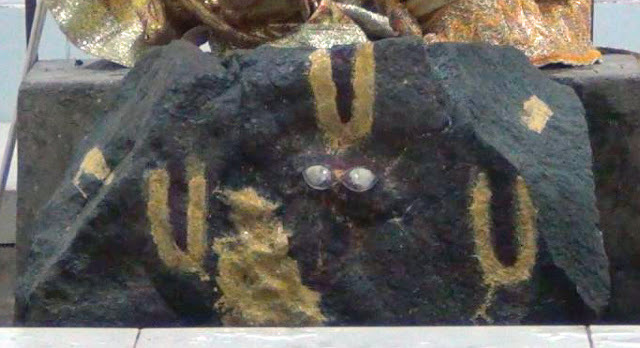 In an attempt to appease the spirit of the dead snake, the villagers installed the blood-splattered stone in a shrine and started worshipping it. Sathya Sai Baba instructed them to wash it and smear it with sandal paste. On doing this, the outline of the figure of Krishna (or Venugopala) holding his customary flute, became discernible. 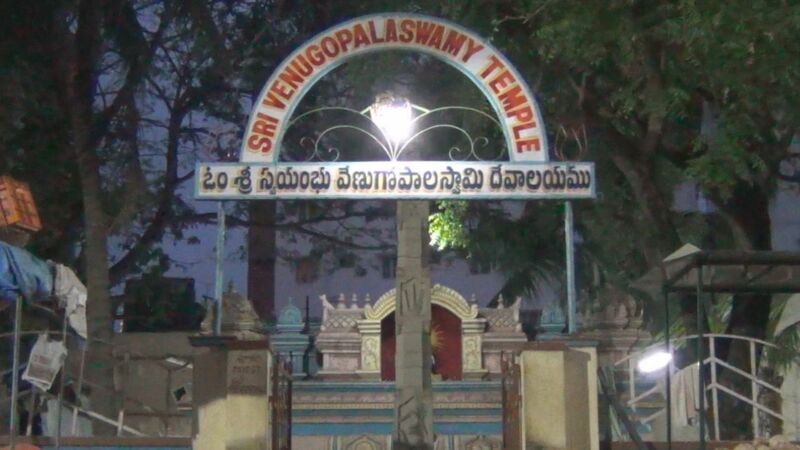 The temple was now called the Venugopalaswamy temple, and the curse on the village of Puttaparthi came to an end. The pujari was preparing for the puja to the sacred stone. He first scrubbed the stone with water. Commenced chanting prayers and making offerings of milk, ghee, curd, honey, sugar, coconut water, etc. Then applying sandal paste and kumkum. Chanting Sri Krishna Ashstotram offerings of kumkum to a small Krishna statue. This entry was posted in Puttaparthi, Sai and tagged Krishna Temple, Puttaparthi, Sai Krishna, Sathya Sai Baba, Sri Krishna. Bookmark the permalink.